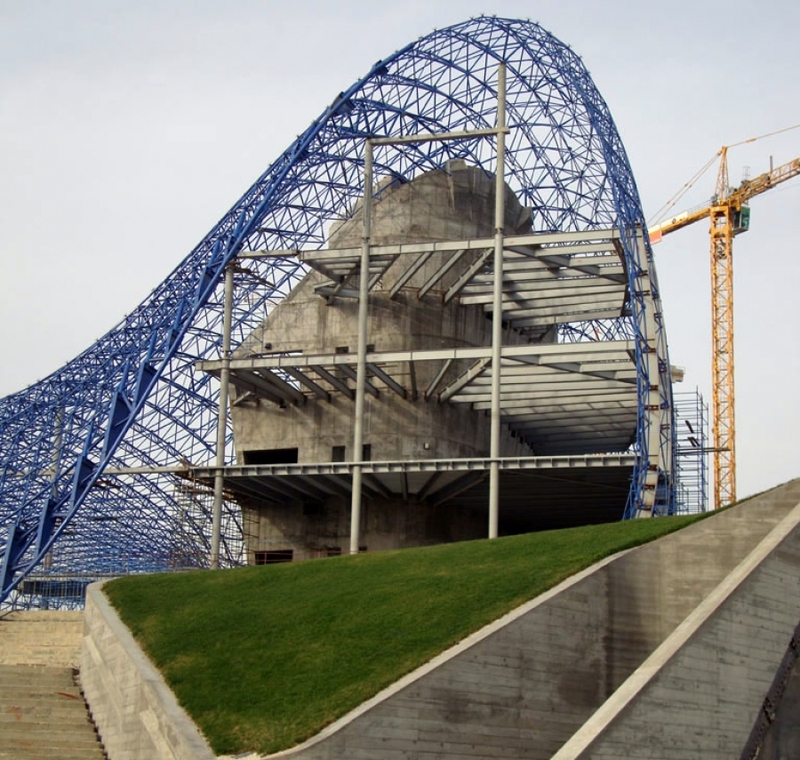 a mixed-use venue featuring a conference hall, library, and museum, is scheduled to open in September 2011 in the city of Baku, Azerbaijan. The ambitious yet expressive nature of these new structures represents a move away from the country's Soviet-dominated past and toward a national identity. The cultural centre, named in honor of the late Heydar Aliyev, National Leader of Azerbaijan, is located close to the city center. It is part of a larger redevelopment area and is expected to be a bellwether of the city's intellectual and cultural life. 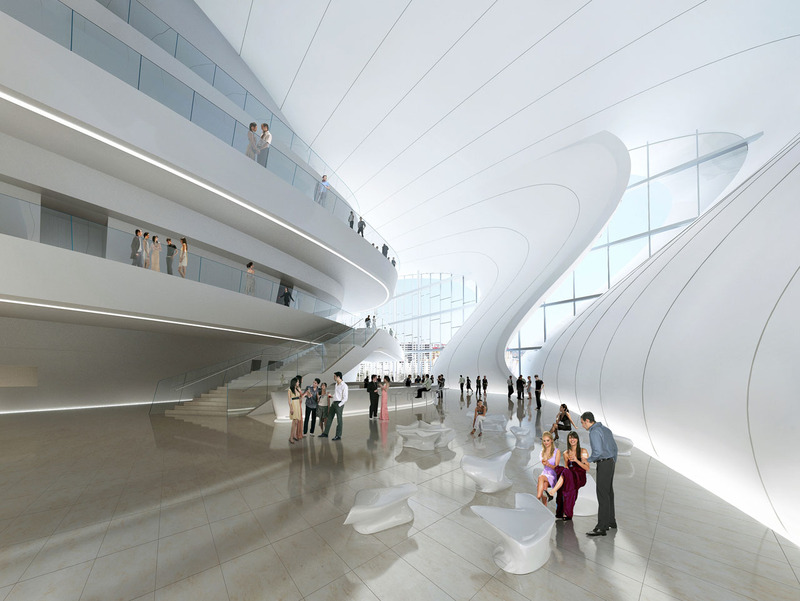 Zaha Hadid Architects created a building form that appears to emerge from the topography. 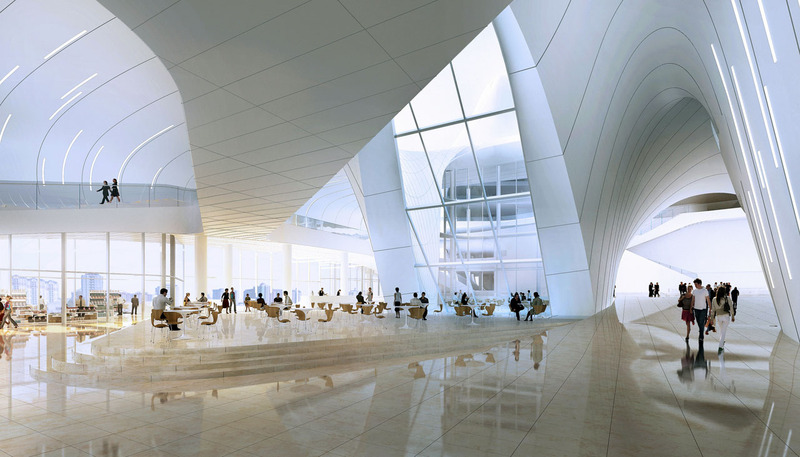 The skin of the building – a single curving surface – rises, undulates, and wraps inward at its base to completely envelop the building's various volumes. 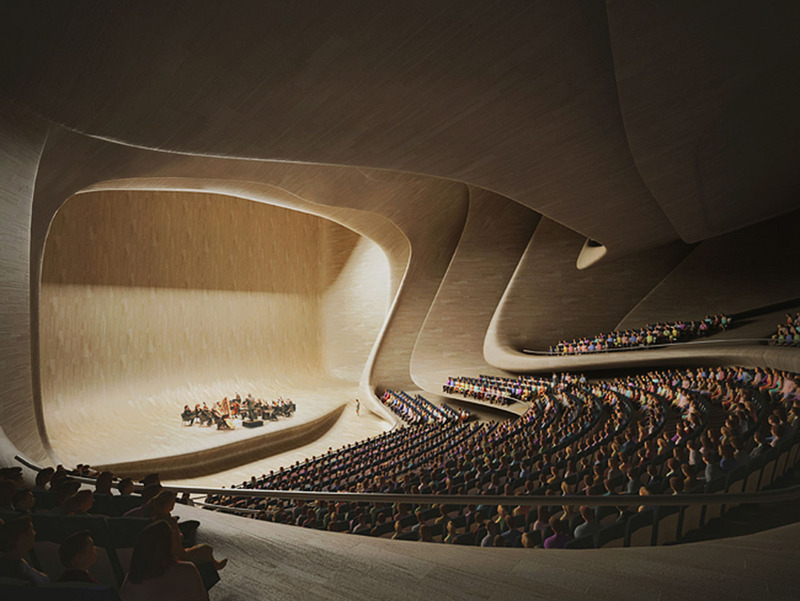 The curved surface allows a freedom of form that can simultaneously differentiate and unite the Heydar Aliyev Cultural Centre's three distinct programmatic elements. 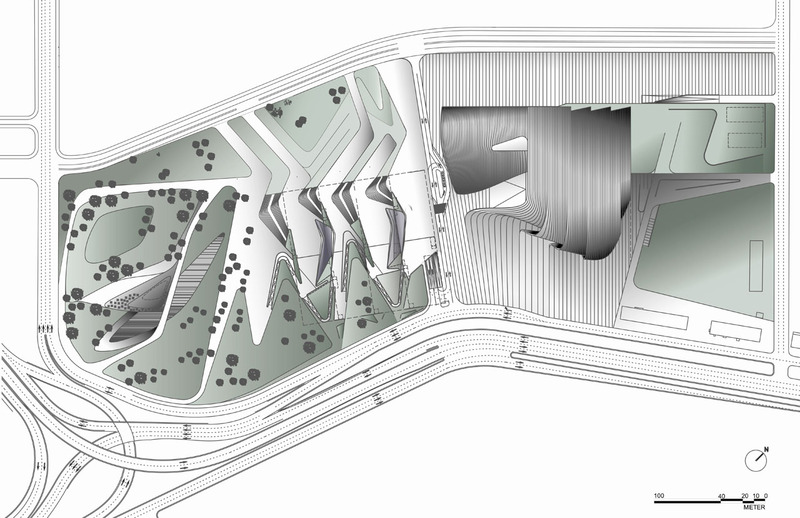 Its inward curl is formed into stairways and ramps that connect the lower floors to mezzanine levels; other circulation paths also emanate from the curves of the building envelope. An elevated bridge connects the library to the conference hall.